A healthy mouth is the gateway to a healthy body. Establishing good oral health care habits at a very young age lays the foundation for a lifelong of healthy habits. Check out this article to learn more about how you can help your children form healthy oral health habits. 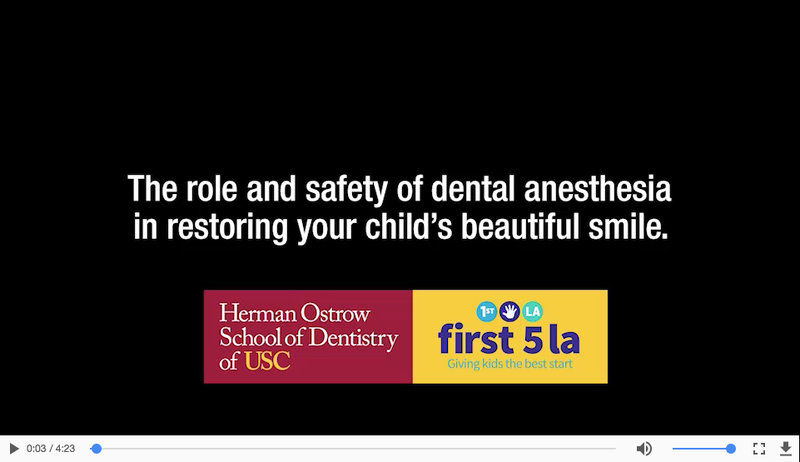 Click on the thumbnail to learn more about how you can take care of your child’s teeth from the time they are born, to when they reach other developmental milestones. Children will look forward to brushing when it’s pleasant and entertaining. Have them watch these fun videos while brushing! The American Academy of Pediatric Dentistry – the recognized authority on pediatric oral health care – published oral health resources on its website for parents and caregivers. 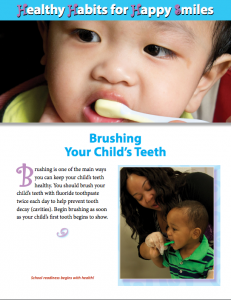 The University of North Carolina at Chapel Hill has compiled answers to your questions about your baby’s oral health. Did you know cavity-causing germs can go from your mouth to your child’s mouth? 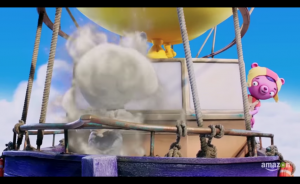 Watch this video by the Florida Department of Health to learn how you can prevent this. Did you know that the foods you eat can have an impact on oral health? 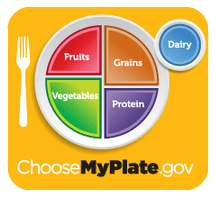 This resource from the U.S. Department of Agriculture has great tips on how to have a balanced diet, and active lifestyle. Taking care of your teeth is as important as taking care of your body. Did you know that children with bad teeth do not do well in school? Dental pain can make it hard to eat, difficult to focus, and tough to learn. 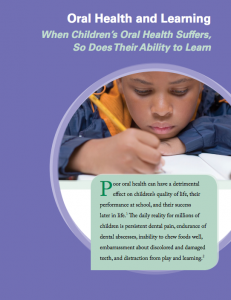 The National Maternal and Child Oral Health Center explores how dental pain can have a negative effect on children’s learning outcomes. What should you expect when your baby is teething? 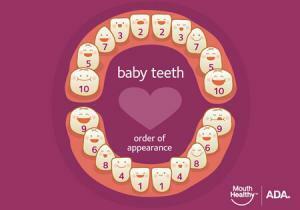 Teething is a normal part of childhood that can be treated without prescription or over-the-counter (OTC) medications. The FDA published a warning for parents on prescription and OTC teething medications, which could be very harmful for babies.